It is not possible to make the city pothole-free in 10 days. So it is unclear what the government hopes for, by ordering BBMP to do this. It may as well order the rains to stop! Keeping a city pothole-free is not difficult. But that requires doing a few things right to BEGIN with. The responses after things go wrong won’t help. 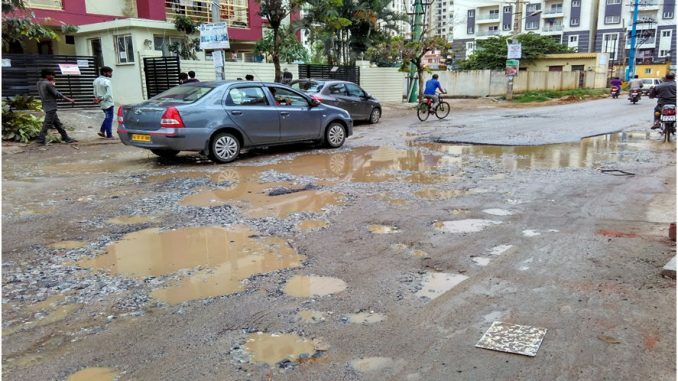 The only thing we can hope for in 10 days is to see whether the government and the BBMP begin to do things differently in the way construction and maintenance contracts are set up for roads and footpaths. No matter how hard we kick the ball, it is difficult to score goals if we don’t aim for the net. And aiming for the net has been well known for years. Here is how. With day after day of pouring rain, it seems that the only thing the administration can do, to tackle the collapse of infrastructure is to wait for the water to stop gushing down, so that something can be done. But that won’t work. Cities need to build climate resilience for such things. We usually get caught in a trap. During normal times we think that extreme events are unlikely, and during extreme events we tell ourselves that nothing can be done until things become normal again. We must take the opportunity to internalise the risk that we face. I have said for the last three years that historical rainfall patterns are likely to shift in a way that peninsular India is going to get a lot more rain than in the past. Whether it’s Chennai or Bengaluru or Vizag (and it is always Nellore in addition !!) might change, but we are probably stuck with a new and heightened risk for many years to come. Governance as usual won’t do. These are not usual times, and – either in nature or in the story of urbanisation. And, let’s not malign the BBMP Commissioner or the heads of any other civic agency. Frustration with poor infrastructure and weak governance is everywhere, but officials in government are also victims, to some degree. The basic problem we have in the city is that there is no planning organisation for most things in the city – mobility, education, job creation, health, and so on. These things only have administration without planning. The one thing that does have planning, theoretically, is land use, but that is highly captured, and BDA is now only a brokerage. In such a situation, what officials need from citizens is to help convince political leadership of the need for better governance structures, and planning. Yelling at the Commissioner can help let off some steam, but it isn’t going to get us anyway. He’s busy running helter-skelter in response to a thousand others like us, at any given time. I don’t want to make excuses for administration, but let’s attack the challenges at their root. Let us direct our expectations towards political leadership, and seek the right interventions from them. That will make the job of the officials also much easier, and thereafter we can justifiably expect better outcomes from them. 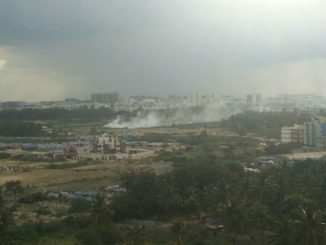 Garbage continues to burn across Bengaluru, polluting the air, ground and water bodies. BBMP has not been able to help people who reached out with complaints. Result: the climate hazard, health hazard continues to dance in the city. 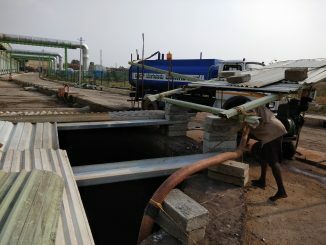 The BDA and Environmental Clearance Committees sanctioned this project on the wetlands between Kasavanahalli and Kaikondrahalli lakes. Expert studies say it will affect the lakes. With residents opposing, case is on in the National Green Tribunal. What do you think are the primary reasons for bad roads? Is it poor quality of roads? Or something different or multiple things? Can you list the other things in your mind? What do you mean by Governance? Can you list the things that will come under this? How does planning help address issues of poor quality of roads, digging of roads illegally by cable companies, private players?